The TV industry has been shaken by a number of allegations that phone-in votes and competitions have misled callers. Here are the main affected shows. What happened: Viewers were encouraged to call Richard and Judy's You Say, We Pay quiz even after contestants had been chosen, it is claimed. The cost: £1 per call. 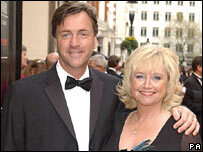 Reaction: Richard and Judy apologised on air, saying they were "shocked and angry" about the matter. Channel 4 launched an investigation into all of its phone-in competitions and discovered viewers had been charged for calls on racing programme The Morning Line after lines had closed. Both quizzes have been suspended and callers have been offered refunds. Premium rate phone regulator Icstis is investigating the claims about Richard and Judy's show, and plans to publish its adjudication in May. Press reports that it was to impose a fine of £250,000 have been denied. 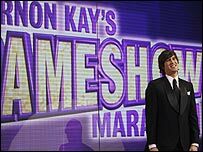 What happened: Viewers were told to call in for the chance to appear on the following week's show - which was recorded minutes after the live show went off air. When the pre-recorded programme was broadcast, presenter James Martin encouraged the audience to call in to put questions to guests. The cost: Calls to get on the programme cost 25p. Calls with questions cost 10p. Reaction: A BBC spokesman said it was a simple mistake and all phone profits went to charity. Premium phone line regulator Icstis has launched an investigation, and plans to publish its adjudication in May. 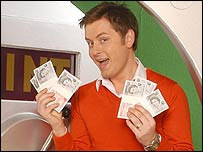 What happened: People voting using the red button throughout the last series of the reality talent show were overcharged. The cost: Votes that should have cost 35p cost 50p. Reaction: The broadcaster said those overcharged could apply to get the money back and that it would make a £200,000 donation to Childline. Icstis investigated the matter and delivered a formal reprimand to ITV. But the broadcaster was not fined because it had approached Icstis to admit the error and offered refunds to those affected. What happened: An internal audit of Five's quiz shows discovered that winners had been faked on weekday quiz show Brainteaser. Viewers were asked to solve a word puzzle within five minutes - but when the audience failed to get the right answer, names of fictional winners were listed on screen. On one occasion, a member of the production crew went on air posing as a "winning contestant". The cost: 75p per call. Reaction: Five's chief executive Jane Lighting said she was "shocked" by the revelation. The channel suspended all premium rate phone-ins while it carried out an internal investigation. TV watchdog Ofcom is carrying out its own investigation into Brainteaser. What happened: It is claimed that viewers were encouraged to call in for the Grab The Ads competition after contestants had already been chosen. Reaction: The show came under scrutiny as part of an independent audit carried out by ITV. Icstis looked into the Grab the Ads claims, but decided there was insufficient evidence to take forward. What happened: The Sun newspaper claims David Gest was wrongly evicted from last year's series after 30,000 text votes to save the star were not counted. The cost:Votes cost 50p on top of the normal charge for sending a text. Reaction: ITV and telecoms firm Eckoh have both denied the allegations, and claim e-mails leaked to The Sun are fakes. Eckoh says it is seeking legal advice over the accusations and intends to report the matter to the police. Icstis looked into the claims, but decided not to take action. What happened: The anonymous insider who gave information to The Sun about I'm A Celebrity... claims computer crashes affected this show, but callers were still charged. The cost: Charges varied, but phone votes were 50p from a BT landline. Reaction: As above, ITV has denied the allegations, and claims the e-mails leaked to The Sun are fakes. Icstis looked into the claims, but decided there was insufficient evidence to take forward. What happened: The BBC's flagship children's programme ran a phone-in competition to raise money for its annual appeal. When a technical glitch stopped viewers getting through to the studio, a child visiting the programme was asked to pretend to be a caller. She answered a question live on air, and was allowed to pick a prize to take home. The cost: Calls cost 10p, with 3.5p going to children's charity Unicef. Reaction: The BBC apologised "unequivocally" and re-staged the competition using call records from the original show. The corporation has launched an independent investigation into the incident, and broadcasting watchdog Ofcom is also investigating. What happened: Viewers chose former England rugby player Kyran Bracken as the winner of ITV's celebrity skating competition Dancing on Ice. About 1.5m votes were cast, but 11,500 of them - all text messages sent via the Vodafone mobile network - were not processed because of a "technical problem". The cost: 35p per vote plus the cost of a standard text message. Reaction: Vodafone admitted there was a fault and said it had sent messages to customers whose votes did not count. It also promised to "automatically refund" all those affected. 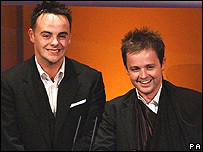 ITV said it had been assured that this was an "isolated" case and the number of stray votes was too low to have affected the final outcome. Icstis took no action, as the fault lay with Vodafone and not the service provider. What happened: ITV's phone-in quiz channel was scrapped in the wake of the phone-in controversy. Its competitions had come under fire for being almost impossible to solve. One asked viewers to name items found in a woman's handbag - the answers included a balaclava and Rawlplugs. Reaction: ITV Play was not the subject of any formal investigation. 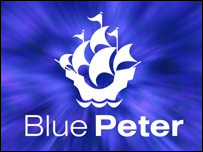 Some of its programmes continue on ITV1 and ITV2 after an independent audit gave them a clean bill of health. What happened: About 10,000 texts for a prize draw competition were not counted. The cost: £1 per text. Reaction: ITV apologised and said those affected would be entered in another prize draw. Icstis is investigating, but said no emergency action was necessary. What happened: Potential winners for the breakfast show's competitions were shortlisted before phone lines closed, meaning some callers never had the chance of getting through. The allegations were made by the BBC's Panorama programme, which estimated people spend £45,000 a day calling in to GMTV. The cost: Charges ranged from 50p to £1. Reaction: GMTV and its phone operator Opera Interactive Technology denied any wrongdoing, but suspended the competitions as a precaution. 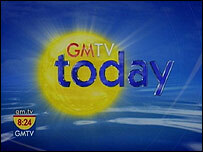 Later, GMTV announced it was terminating its contract with Opera after discovering "irregularities" in its systems and procedures. Panorama said it understands media regulator Ofcom has launched a formal investigation following a complaint against GMTV and Opera, but has not confirmed that it is related to the same issue.